Tainted Visions: "Marked for Life Expo"
Once again, Tainted Angels is back with information on skin art and body alteration sub-culture with an upcoming tattoo convention in Orlando. The “Marked for Life Expo” a Female Tattoo Artist Exposition that has become a tradition in the Orlando area for the tattoo collector, artist and enthusiast. The “Marked for Life Expo” has run for 18 years bringing the amazing talent of female artist around the nation to the eyes of the artistic sub-culture. This year the expo will take place on January 17th thru January 20th at the Holiday Inn Orlando 12125 High Tech Avenue in Orlando Florida. The “Marked for Life Expo” is the effort and creation of Deanna Lippens owner of Deanna Skin Arts Tattoo Shop in Christmas FL. Deanna Skin Arts is the only tattoo shop in the city of Christmas. Deanna celebrates 33 years in the tattoo industry as she started in 1980 by her passion for the skin art. Deanna’s shop address is 25026 East Colonial Drive Christmas, FL 32709 and their contact number is (407) 281-1228. TaintedAngels will be present on this 18th edition of “Marked for Life” exposition. I will be cruising, talking, filming and immortalizing the art and people from this amazing exposition of talent and passion for the skin arts and present it to you. We will begin a tradition and journey of the exposure of the sub-culture as we present the ones that love the skin arts as equals. It does not matter what religion, believes, race, culture or background we are, one thing unites us without prejudice or rejection… “ART”. 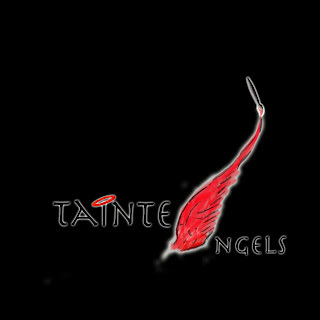 The Tainted Angels believes in no rejection or prejudice for those who live and love the art and free expression. We will stand strong against ignorance and misconception for the meaning and looks of the one that loves the art. 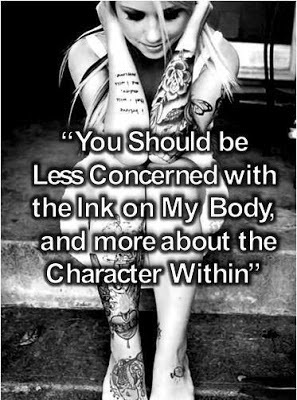 We will move forward to a bigger and better place where our looks and choices for the decoration of our bodies will not be seen as a lower level of humanity and personality. Only the open mind and heart can stop the hate and prejudice of the unknown and misunderstood. Join us in this journey for the education and acceptance of all without limits, without prejudice, only acceptance that we are all brothers and sisters no matter what we believe in or where cultured as we were raised in a world of blindness and hatred.